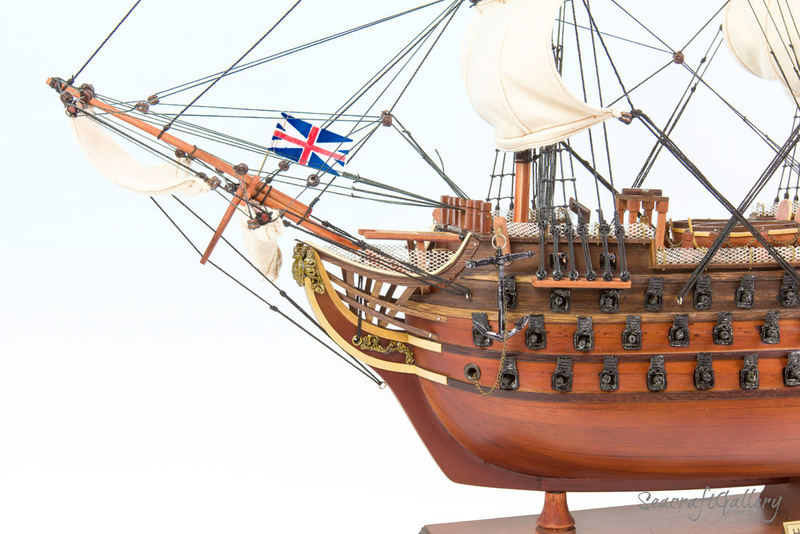 As the world’s oldest commissioned warship and the Royal Navy’s most famous fighting tall ship, the HMS Victory was engaged in historic Battle of Trafalgar in 1805. 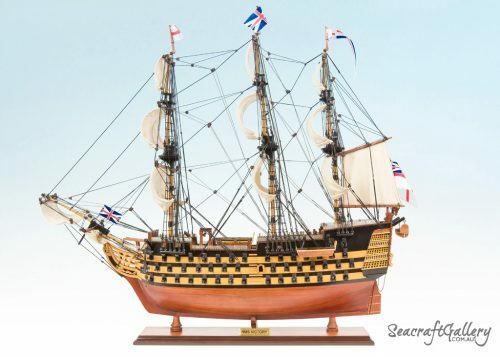 Now our remarkable HMS Victory model ship brings her indomitability and legend to your home, office or meeting room through stunning wood-art-work. 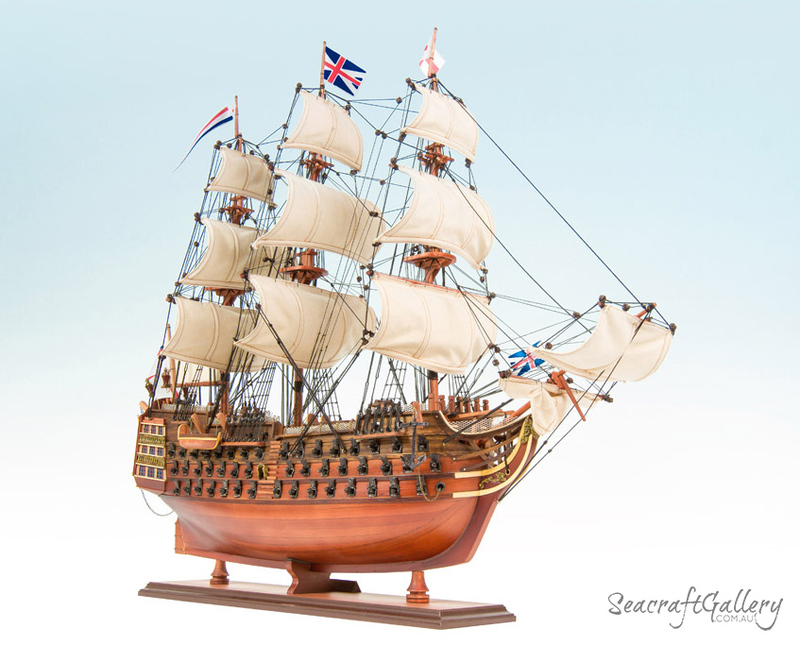 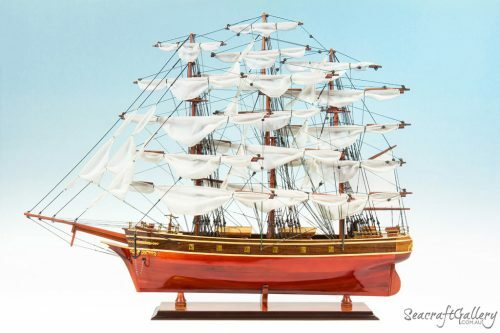 This model comes with a solid wood base with metal name plate and a laminated sheet of history of the Victory ship. On May 7, 1765 the world’s oldest commissioned warship, the famous HMS Victory, was first launched from the Chatham Dockyard. 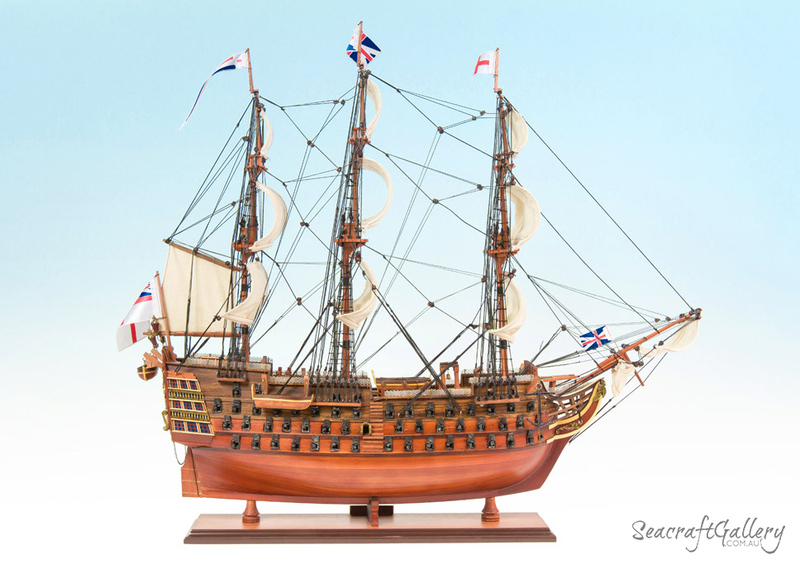 This was the beginning of 200 years of almost continuous and dedicated service from this loyal and committed warship. 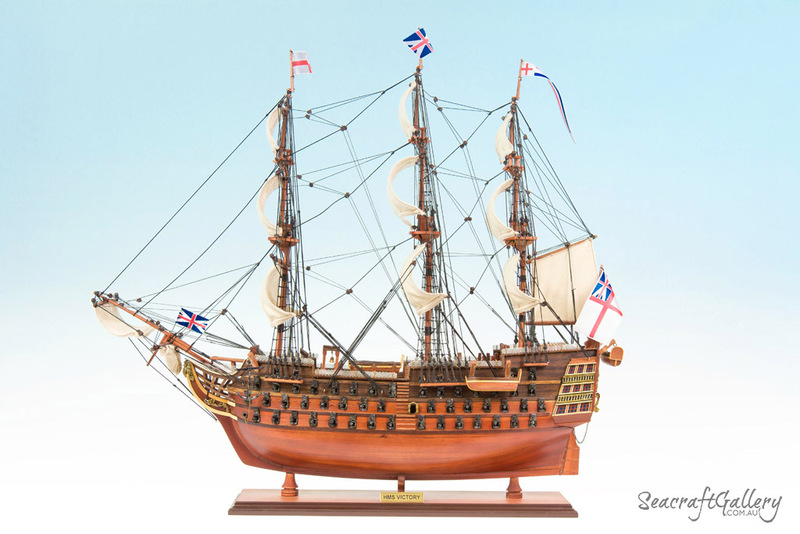 In March 1778 John Lindsay was appointed her very first captain, but he was transferred to captain HMS Prince George in May 1778 when Admiral the Honorable Augustus Keppel decided to raise his flag in Victory. 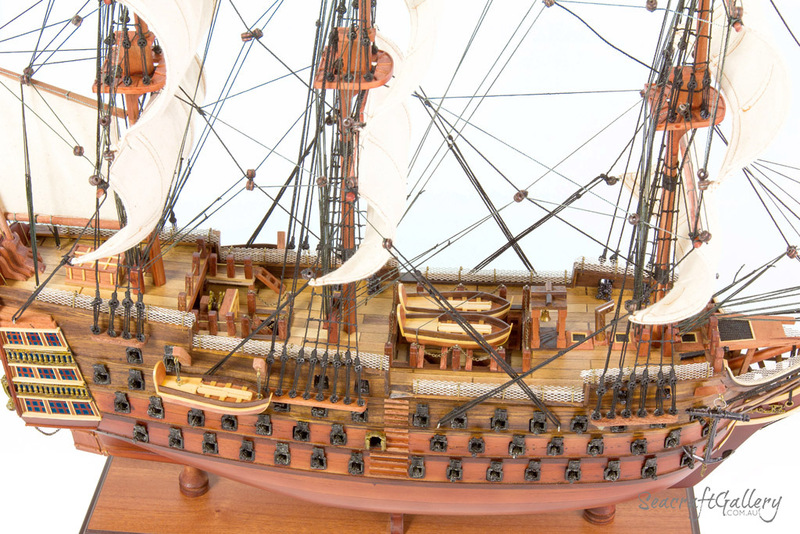 She was commissioned in May 1778 under the command of Rear Admiral John Campbell (1st Captain) and Captain Jonathan Faulknor (2nd Captain), with the flag of Admiral Keppel. 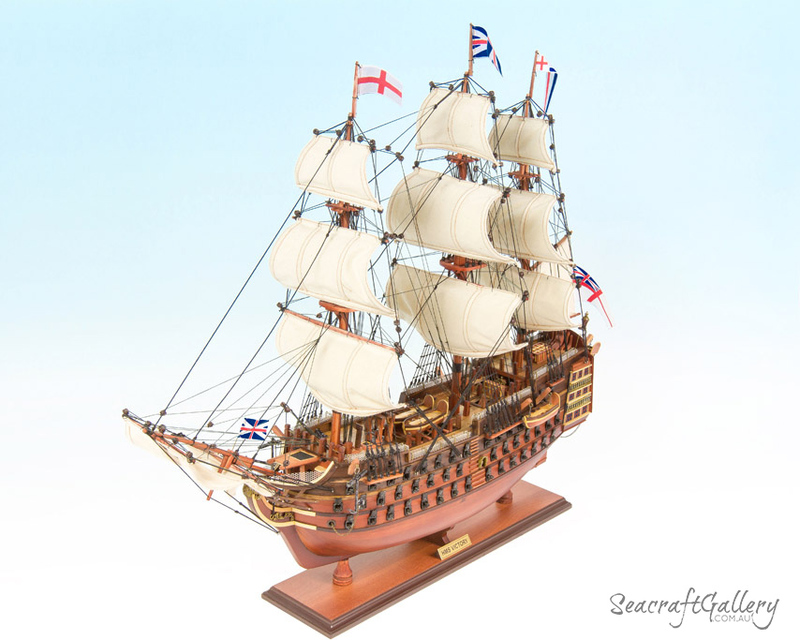 Although already a veteran of many hard fought navy battles, on October 21, 1805 the HMS Victory fought the very battle for which she would become famous. 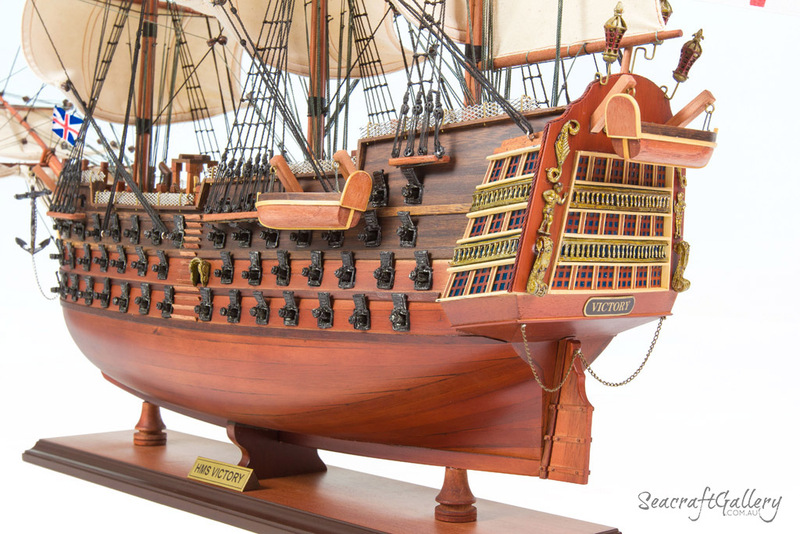 Under the British flagship, she heroically defeated the Franco-Spanish fleet in the tragic Trafalgar, Spain battle. 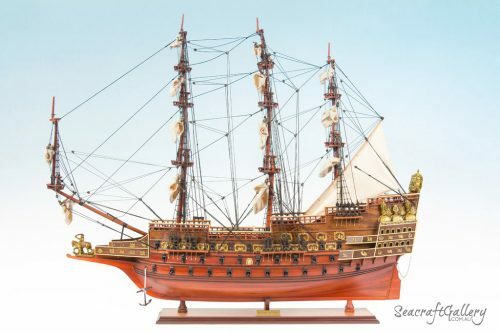 Her powerful canons firing half a ton of ly iron and a distance of more than half a mile, this incredible ship was brought the fame she deserved. 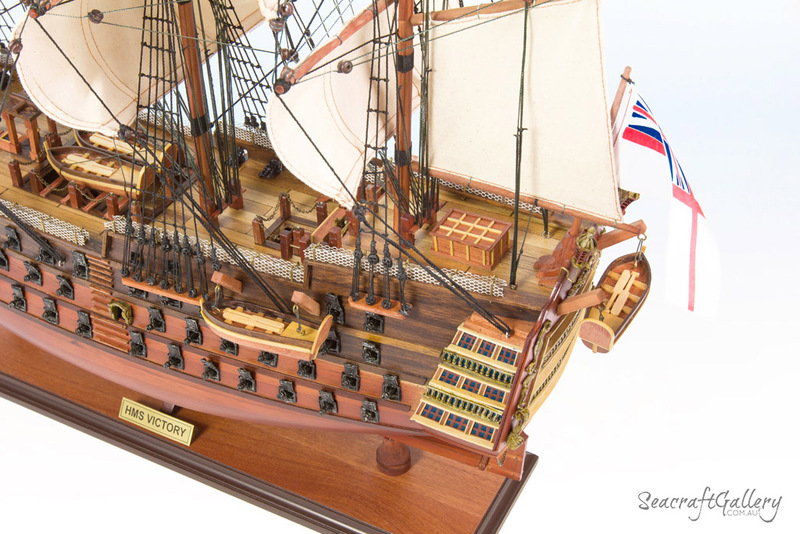 In 1812 HMS Victory was retired and brought to rest peacefully in Portsmouth, England on the south coast of England. 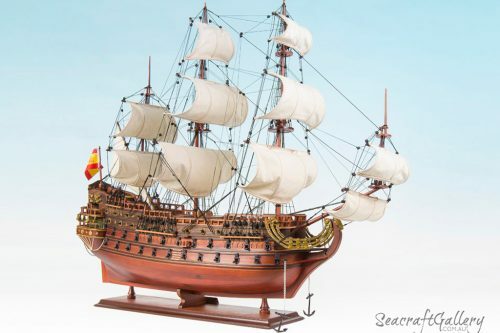 She remained here for 110 years fulfilling a combination of practical and ceremonial roles. 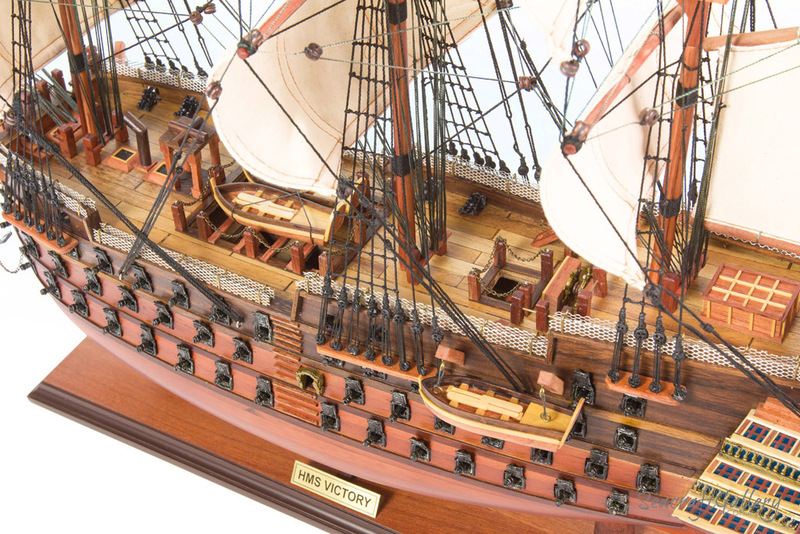 HMS Victory is still in commission as the flagship of the admiral for the time being acting as Second Sea Lord in his role as Commander in Chief of the Royal Navy’s Home Command (CINCNAVHOME). 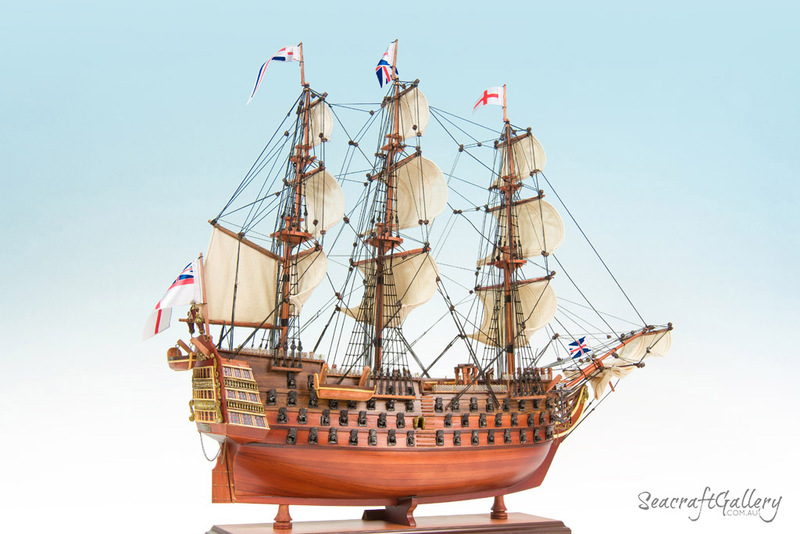 She is the oldest commissioned warship in the world, although the USS Constitution, launched 30 years later, is the oldest commissioned warship still afloat. 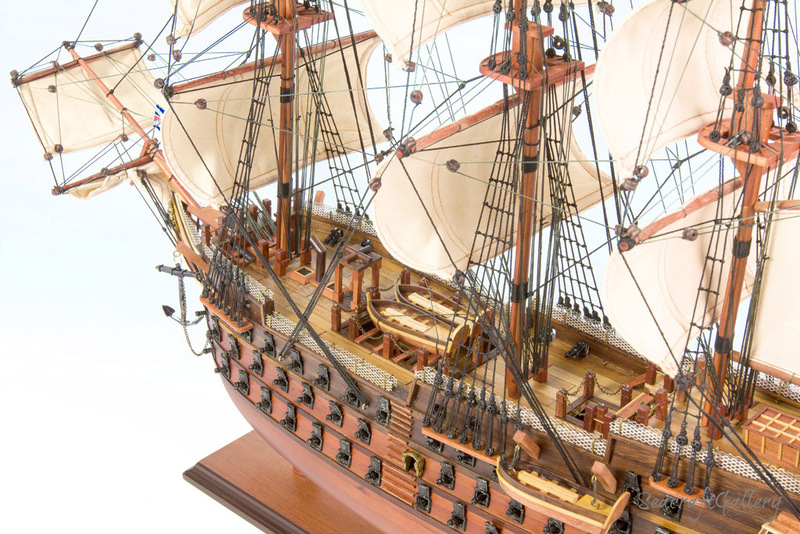 Victory attracts around 350,000 visitors per year in her role as a museum ship.